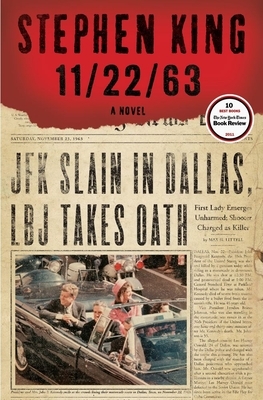 On November 22, 1963, three shots rang out in Dallas, President Kennedy died, and the world changed. What if you could change it back? In this brilliantly conceived tour de force, Stephen King—who has absorbed the social, political, and popular culture of his generation more imaginatively and thoroughly than any other writer—takes readers on an incredible journey into the past and the possibility of altering it.